From the design and construction of brick & mortar Turboshaft/Prop test cells to the manufacture of modular cells to the upgrade and overhaul of existing facilities, Atec has the products and experience to support you. 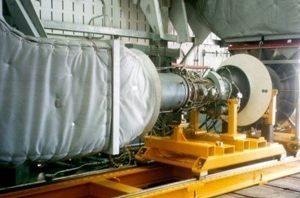 Atec has been the Prime contractor on many large-scale turboshaft engine test facilities, and we offer the most innovative menu of solutions. Atec’s newest team member, Vital Link, has extensive experience with turboshaft test projects coordinated from the US and UK. 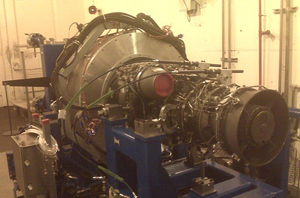 Additionally, Atec and Celtech offer proven, tarmac-based intermediate systems for turboshaft/prop testing. Atec has handled many significant projects in terms of complexity and cost. As part of a project for the Navy, Atec demolished the existing internal system and a completely new test system was installed. 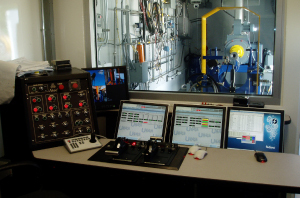 Atec was instrumental in the design of a custom water-dynamometer, which allows the T64 and T700 engines to be tested inside the same test cell. 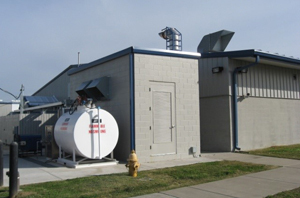 Atec designed, fabricated, and Installed an A250 test cell for Air Logistics, a Bristow Company. This was a turnkey test system that enables rapid engine throughput, simple operator interface, and a data acquisition system that captures all required engine parameters. Atec took an innovative approach to applying load to the engine during testing by incorporating a regenerative electric drive that utilizes two high-speed electric motors. The electrical power genterated by the AC motors will not only provide mechanical braking torque for loading the engine, but also turn the load into useable electric power that is synchronized for use on the local power grid. 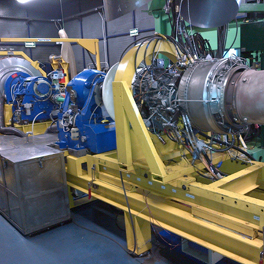 Atec is currently performing test cell studies involving 3 locations to optimize engine maintenance lines. Upgrade modifications are likely to follow. 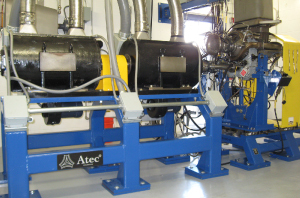 Atec converted a marine test cell into a turbine engine test cell for a company in Sugar Land. The test cell is recognized for hot end and cold end drives, and is designed to test multiple engine types within the single cell. Celtech Corp. (Atec subsidiary) is completing a T700, T53 and PT6 test cell (Depot) upgrade for helicopter and trainer/transport engines. Key engineers and field personnel have been in-country as needed over an eighteen month period to date with extremely complex contracting, political and administrative issues handled successfully. 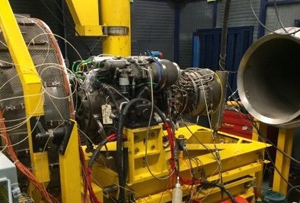 All three turboshaft engines have been successfully tested. All Celtech systems are working and final check out is expected for all parties in early 2016.